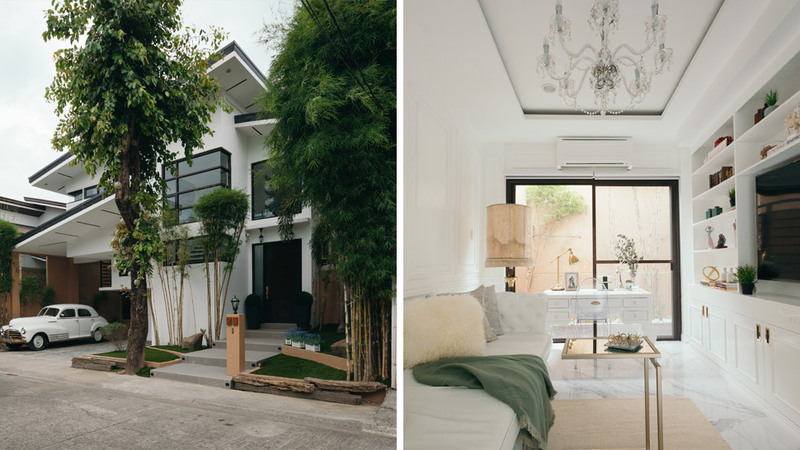 When the owners of this 350sqm property in Alabang decided to renovate their home, the lady of the house knew that she wanted to achieve a white house completed with classic elements, neutral pieces, and elegant details that come together to create a vintage aesthetic with contemporary flair. After a thorough renovation period that saw them being hands-on from day one to final turnover, homeowners Camille and Neil were more than happy and fulfilled with the final result. The house can instantly capture the attention of passersby and it's difficult not to be in awe of its interiors the moment you step inside. Camille personally worked on the design while Neil oversaw the renovation process.